The Palace Theatre of Varieties opened on Whit Monday 1891 and had cost its owners the then colossal sum of £40,500. The seating capacity at the time was 3,675 and ticket prices ranged from 6d in the balcony to 4/- in the stalls. All the great names from the Music Hall era appeared in the following two decades including Marie Lloyd, Harry Lauder, Little Tich, Lillie Langtry, Vesta Tilley and Charlie Chaplin. 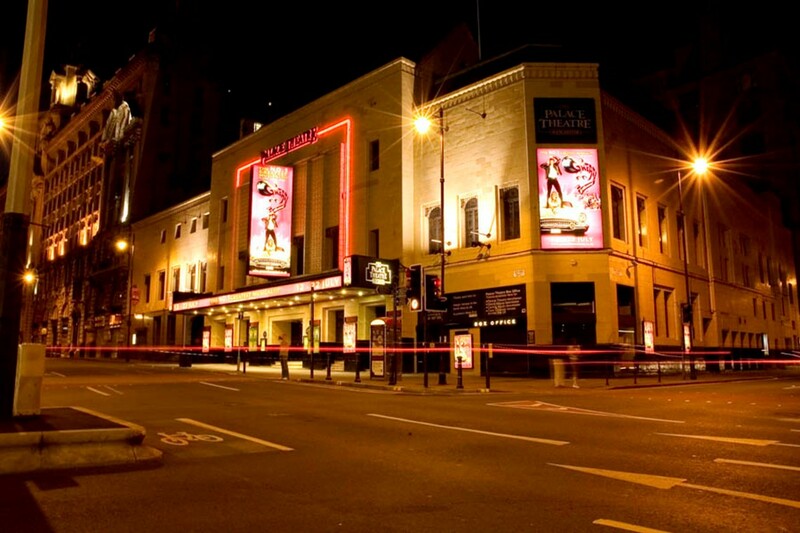 Situated directly opposite the Palace Theatre is Oxford Road train station. Piccadilly train station is only 0.3 miles from the theatre.